Nulana LTD today is pleased to announce the availability of Shortcuts 1.4, an update to its handy application that makes everyday tasks easier and helps to save time by creating keyboard shortcuts for routine things like launching applications and opening websites. 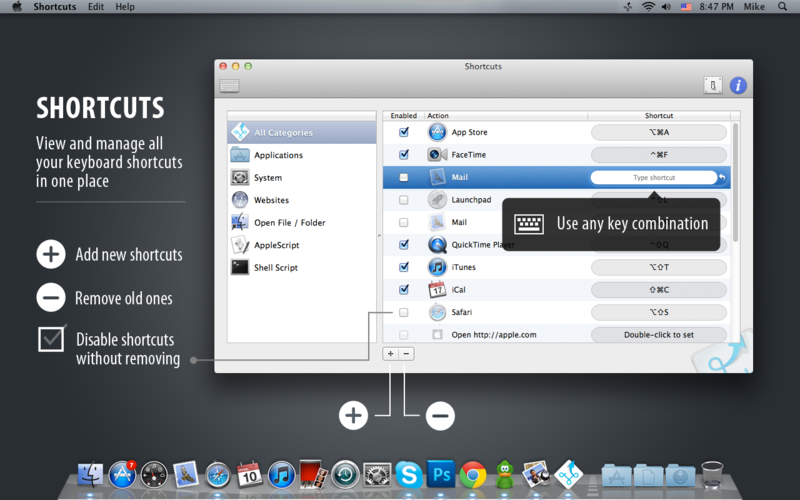 Shortcuts is a perfect tool for both Mac newbies and experienced users. 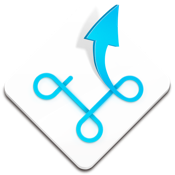 Users can easily reconfigure shortcuts and choose other apps or keyboard keys. 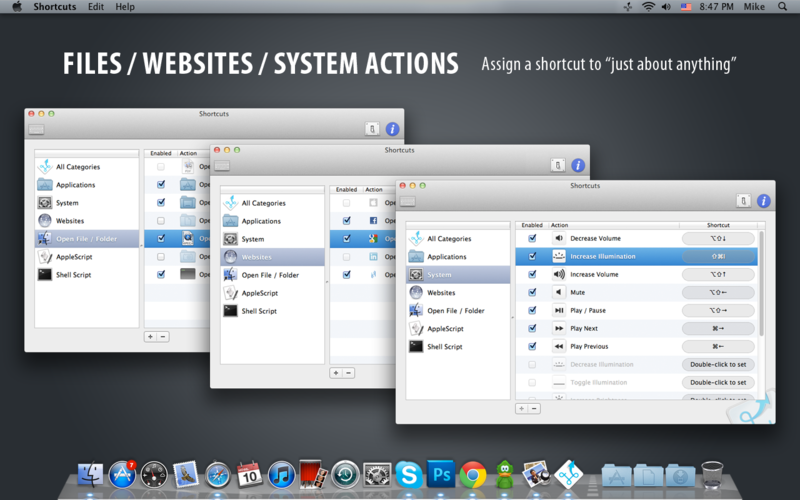 Some user-chosen shortcuts may already exist for another action. If a new shortcut conflicts with a system one, application asks you either to choose another combination or to override the system shortcut. A built-in editor for AppleScript and Shell script shortcuts that allows users create a new script right in the app, perform a test run, make corrections, save or export it to a hard drive. 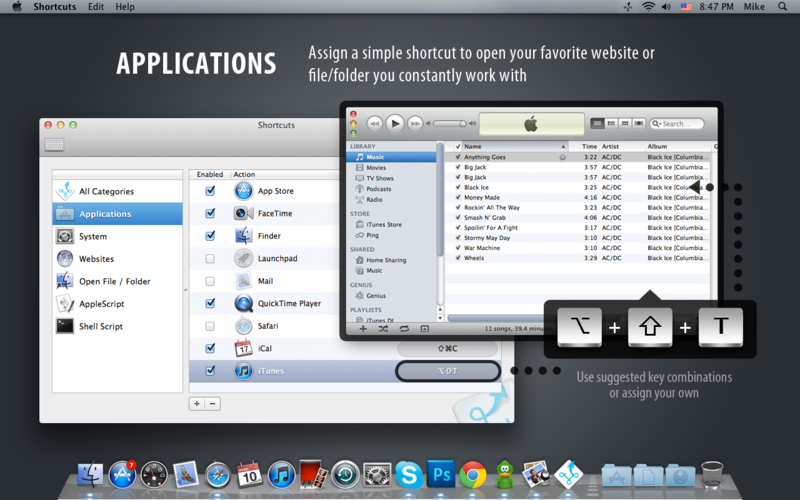 Shortcuts costs USD $9.99 and is available worldwide through the Mac App Store in the Productivity category. The trial version is fully-functional for 15 days.